Grocery budget. Food prices have increased radically over the past three years and so have my children's appetites. It occurred to me that if I spend a mere $15 for dinner each night, our monthly budget JUST FOR DINNER would be roughly $450. Add in lunch, breakfast, and other home items and that's a serious amount of money. My Kitchen. I have been feeling like all I do (or all I watch my husband do) is clean dishes. Breakfast, lunch, and dinner, times four people plus pots, pans, and other prep items = Kitchen Chaos. Time to simplify. 1. Research. 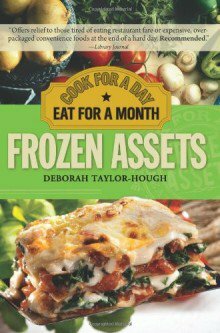 My two resources are "Frozen Assets: Cook for a Day, Eat for a Month" with Deborah Taylor-Hough and find more here on the Facebook page. Super detailed and contains the most practical advice, although I am using the first edition from the library and the updated one is probably better. Secondly, Money Saving Mom has a Guide to Freezer Cooking that I got for free. I didn't find it nearly as helpful as Frozen Assets but it confirmed the process. 2. Calendar. I started with November 21st and my meal plan will carry through December 18th. I worked in eating out dinner one night per week (see Eating Out Bargains below) and planned Sunday for leftovers. Minus two days for Thanksgiving and its leftovers, left me with a need for 16-17 dinners. Once committing, I feel there are two paths you can take: use your weekly ads and create a menu plan based on the week's best deals, including recent coupons. Or, you can do what I did, start with a menu and then use grocery ads to find the best prices. That's 19 meals, which exceeds my needs so I can be ready if we need to take a family a meal or have guests for dinner. Side note: all dishes will be prepared in a 8x8 or 9x9, rather than 9x13. 4. Shopping List. This was so tedious. You basically get every recipe and write down how much you need. My final list included things like six onions, 30 chicken breasts, 70 oz of tomato sauce, etc. and was extremely long. (Make a rough-draft list first, check your pantry/fridge/freezer, and cross off items you already have. Make a new list for the store.) Make sure you have the right pans and bags for freezing items, too. 5. Shop. I am not interested in going around town with three kids, so I picked two places to shop: Costco for bulk and Walmart for price-matching. Jot down prices you want to compare or bring your price-match list. I just returned from Costco where I got bigger items (5 lbs frozen lean ground beef, ten pounds of tomato sauce, and freezer bags.) One exception: Sprouts is having a sale on chicken for $1.77/lb so I'll get chicken from there. 6. House Prep. The other thing I'm already loving about this process is how it's forcing me to clean. I've already cleaned out my refrigerator and freezer. I found more than 10 storage containers and ample amounts of mold. ;-) I wiped surfaces clean and rearranged. I kinda like the idea of this informal schedule to clean the fridge. So tonight I make the trip to Walmart, sans kiddos, ready to price match and coupon. Tomorrow I will prep just the meats (ground beef and chicken) and chop or shred a few items. Saturday is the big day! I'll keep you posted! Look for Part 2 next week. 1. Chick-Fil-A Family Night: The Benbrook and Cityview CFA's each have family night on Tuesday, where you get a free kid's meal with each adult combo. 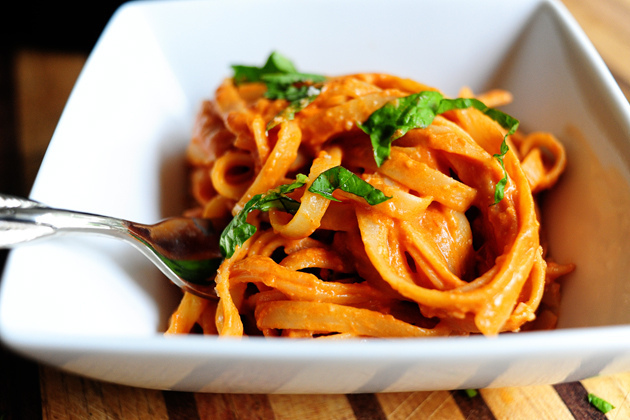 We can eat for approximately $12.00. Awesome. $3/person. 2. 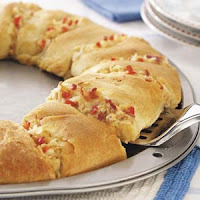 Palio's: Wednesday nights at the Palio's Pizza Cafe on Bryant Irvin is BOGO: buy one pizza, get the second one for FREE. I order two pizzas for 5:15pm pick up and Brad gets them on his way home. Our kids love these pizzas so we get two of their large specialty pizzas for $15.99 plus tax. $4/person. 3. Spring Creek BBQ: Each month the Valpack coupon packet contains a Buy One Rib Dinner, Get One Free coupon. It works for any of their dinners (turkey, brisket, chicken, etc. ), which range from $9-12. We usually get the combo so the kids can share the meat and we load up on veggies (all you can eat) and supplement with their hot bread. I'm a sucker for sweet tea so with drinks, we usually spend $15-17. Again, about $4/person.